How Satisfied Are You With Your Cleaning Service? I have been contacted by several individuals who either want to start a cleaning service or have one or two small accounts and want to grow. There are some basic questions to ask when marketing your services that can help you identify potential customers and actually get a few. The crucial question after a polite introduction is “”Are you satisfied with your current cleaning service?” In a prior article we suggested how to respond if they said yes since the first no should not be their last. If they answer that they are not satisfied, then how do you respond? Based on the person’s response you may be able to get them to walk you through the building pointing out areas and sharing stories of poor performance. Listen, grunt occasionally, and make notes. Be careful NOT to criticize the “idiot who chose the current cleaning service” for obvious reasons. 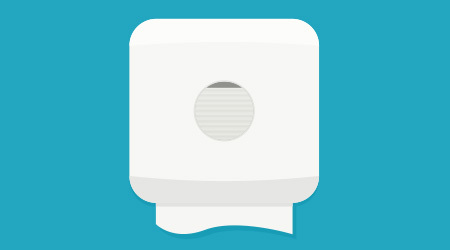 Ask leading questions, such as “Tell me about……” If you go into a rest room, note the odors, does it have a floor drain (that may not be serviced), deodorizers that mask rather than deal with issues, etc. If appropriate, take a wet paper towel and wipe under the urinal or urinal partial/wall to see if there is residue. Make note that your workers are trained to handle such areas on a regular basis to avoid build up. This also is a good reason to have a pair of disposable gloves with you as a professional touch.